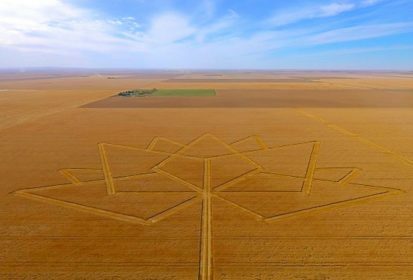 CNS Canada — With the durum wheat harvest rapidly approaching in Western Canada, many analysts wonder how the dry conditions and extreme heat will affect yields. Yet there is one aspect about this year’s crop they already know. Increased seeded acreage this spring, and market access problems hindering longer-term durum sales, mean farmers might want to temper expectations. “It’s almost in a way, you can’t buy a break,” said Bruce Burnett, director of MarketsFarm at Glacier FarmMedia. The combination of plentiful supplies and problems with traditional durum customers in Turkey and Italy will come into play as the crop year progresses, he said. A good North Dakota durum crop may also limit sales opportunities for Canadian durum into traditional U.S. markets, he added. The U.S. Department of Agriculture’s world agricultural supply and demand estimates (WASDE), released Aug. 10, rated the North Dakota durum crop as 80 per cent good to excellent. The U.S. has 35.9 million bushels of durum in storage and 1.89 million seeded acres coming off in this year’s harvest. Though this year’s durum harvest will have smaller yields in many areas, it will not have a major impact on overall supplies, Burnett said. Canadian farmers seeded 6.185 million acres of durum this year, compared to 5.205 million in 2017, according to Statistics Canada. Saskatchewan accounted for 4.99 million. While lack of moisture and a prolonged heat wave have affected durum-growing areas of southwestern Saskatchewan, and into Alberta, Burnett said other durum areas have fared better. Areas of south-central Saskatchewan around Assiniboia saw much improved moisture, he said, but the heat will pull down prospects. Barry Taylor, who farms near Southey, Sask., about 60 km north of Regina, said most durum in his region looks decent. Most of his 900 durum acres received about average moisture, he said, but most of that came early in the growing season. Quality looks about average for his area, he said, but prices are not as good as they could be and he’s hoping to see that turn around. Burnett said analysts will know more about the quality of this year’s harvest in a week or two, but so far it looks like yield prospects for the southern durum areas decline the further one moves west from Assiniboia. He said areas of central Saskatchewan, north of the South Saskatchewan River and north of Moose Jaw where there is significant durum area, will have better crops. With a significant crop coming off fields, and problems with some of Canada’s traditional durum buyers, Burnett said he’s inclined to wait for better news on the supply and market access issues, rather than take up a leader’s position. A leading farm group in Italy has been protesting Canadian durum use by Italian pasta makers, falsely criticizing Canadian durum for high levels of vomitoxin, glyphosate residue and as being genetically modified. The Italian government has called on pasta makers to include country-of-origin on labels, which would require them to segregate Canadian durum before use. Italy has also threatened that it will refuse to sign the trade agreement between the European Union and Canada over the durum dispute. It bought $321 million worth of Canadian durum in 2016. An economic crisis in Turkey will almost certainly keep that country from becoming a major durum buyer this year.